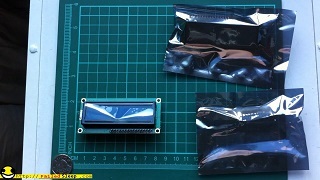 Two sixteen character two line I2C displays. 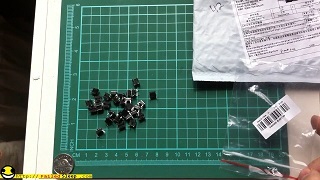 Now their description says they are for use with the Arduino family of products. In reality they use the I2C protocol so they can be used with any device which can communicate over I2C. I have tried these on Arduino Uno, Pro Nano, and Raspberry Pi 2B. And they work great. I will hopefully have video and another post showing these in action in the future. These came pretty quickly, 25 days and I had thirty one little black switches. As you might have noticed from the description above I only ordered 30. They shipped one extra. I do not know if that is standard practice, or I just got lucky.